As an orthodontic consultant, I often hear the same question from doctors, whether they're starting a new practice or have an existing one: "Should I purchase practice management software that relies on an in-house server, or go with a cloud-based program?" What they're really asking is, "What type of an investment am I looking at to get a system I like, and how will it affect my bottom line?" It's a tough decision that will affect an orthodontist's business on a daily basis. There are many details to think about, and an abundance of great software companies to choose from. Professionally, I don't have a preference as to which company doctors choose, or the modality in which they use it. I'm most concerned with how it affects my clients on a day-to-day basis, and whether they're prepared for their long-term investment. Being familiar with the basic pros and cons of each server solution will help you make the best decision for your orthodontic practice. I've had the opportunity to see many different orthodontic operating systems during my 25-year career in the orthodontic industry. Until the last decade, cloud-based programs were almost nonexistent, which meant that almost all software options were in-office, server-based systems. The downside to having an in-house server and network is that doctors must make sizable initial capital investments in equipment and software. They also have to pay for at least a part-time IT professional, and are responsible for the costs associated with software licenses, hardware upgrades, network issues, etc. Also, a server system isn't always the best for doctors who have multiple offices. In many instances, doctors have been required to buy multiple servers—one for each practice location—or to pay a substantial amount of money to an IT company to come up with a work-around solution for multiple practices all using a single server. Nowadays we're seeing more orthodontic software companies offering cloud-based programs or systems, which come with their own advantages (and a few drawbacks). If your practice has multiple offices or demanding internal IT costs, a cloud-based server and software could save money. And with a cloud system, doctors are usually relieved of the stress of managing an in-house server and the networking headaches that come with it. This is particularly useful for practices that don't want the costs of a dedicated IT company, or for practices that would prefer to use the capital required for a dedicated server in other ways. Another pro of a cloud server and system is that it offers an easily scalable solution that can be modified to meet the changing demands of your practice. The biggest downside of a cloud server system is that it requires a constant, dependable internet connection. Let me say that again: a constant, dependable internet connection! If internet access goes down, your practice will be dead in the water and you won't be able to connect to a server unless you're running an application-based program on a cellphone from another internet carrier, or have internet access from another provider for a cloud system that doesn't require an application. I tell all my doctors to always print out their daily schedules the night before. You never know when your internet will go down, and we never want our patients to see us sweat! Although cloud servers have a reputation for being highly secure, some doctors may be hesitant to use the cloud if they're concerned about how their management system stores sensitive information, such as patient records or financial data. Finally, when considering a cloud operating system and server, you can't overlook the cost of monthly hosting or support fees, as well as user-licensing fees. An onsite server gives you physical control over your server and can be developed to meet the specific needs of your practice. It keeps critical data in-house, but requires your team to back up your data daily in a secure way to ensure against fire, natural disasters or a server crash. Other considerations include the initial cost to set up the server and the cost of maintaining it, which could be sizable throughout the years. Plus, you're entirely responsible for paying for IT and network support whenever you may need it, a variable that can make budgeting a nightmare. A cloud server system requires negligible onsite investment, and you'll enjoy greater scalability. It's also great for practices with several locations. Some drawbacks include requiring a reliable internet connection and budgeting for monthly hosting or licensing fees. Also, some doctors who originally had in-house servers encounter significant conversion costs to move their information to a cloud server. You must feel comfortable giving up control of your data's security. Fortunately, many cloud-based operating systems have trusted safeguards in place to help give you peace of mind. That said, not all cloud-based operating systems and servers are created equal. I've found two different options for accessing a cloud system. The first access option is through a web address. When Cloud9 users want to access data, for example, they log in to a web address assigned to their practice. This allows users to connect from anywhere and on any device, as long as they have internet access. This option is popular with doctors who have PC or Mac preferences, or multiple brands of devices in their office or home, and don't want to connect to the cloud with assisted software or the need for downloaded applications. The second access option is through application-based software, such as Ortho2 Edge, topsOrtho or Dolphin Cloud. Essentially, these companies allow you access through an application that must be downloaded onto your device. It's like going to the app store on your device and downloading an application to run on any of your other supported devices. The only downfall I see with application-based server systems is that sometimes the applications aren't compatible with certain brands of devices, and you'll need additional programs like Parallels or a remote desktop system to reach the operating systems. For example, Ortho2 Edge is not a Mac-supported application, so it won't run on Apple devices without a workaround like Parallels. (Don't let this dissuade you if you're a Mac lover! The problem is easily overcome with the help of an IT provider.) Meanwhile, some software solutions work only on Macs, so keep in mind compatibility. If you're running into more compatibility issues, it could be time to upgrade all of the computers in the practice. Given how much you and your staff rely on computers, this is always a good investment when it can lead to an improved workflow. There's no "wrong" way to set up an operating server solution—but the answer that's right for you depends on your practice's specific needs, your favorite computing system and the budget. That said, for start-up practices I usually recommend going with a cloud-based orthodontic practice management system. The motto with start-ups is "budget, budget, budget," and a software system that works within the boundaries just makes more sense. For established or existing practices, take some time and look at the available options. Explore your options, test out systems, and make an informed decision. If you've done your homework, the practice management system you choose—whether it's cloud-based or based on a server in your office—will benefit your bottom line. 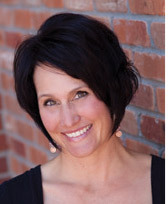 Jill Allen, owner of Jill Allen & Associates, is an orthodontic practice-management consultant who focuses on start-up practices and doctors who have been in business for eight years or less. Allen believes in a practical approach to practice management and has more than 25 years of experience in the orthodontic industry, working with clients all over the United States. To inquire about her services, visit practiceresults.com.